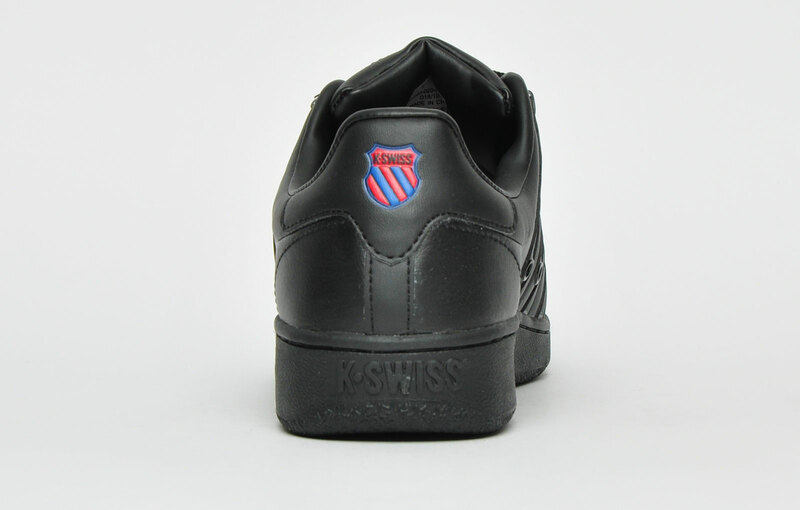 These K Swiss Classic Vintage trainers boast a clean-cut silhouette which is created with a premium smooth black leather upper for that retro feel. 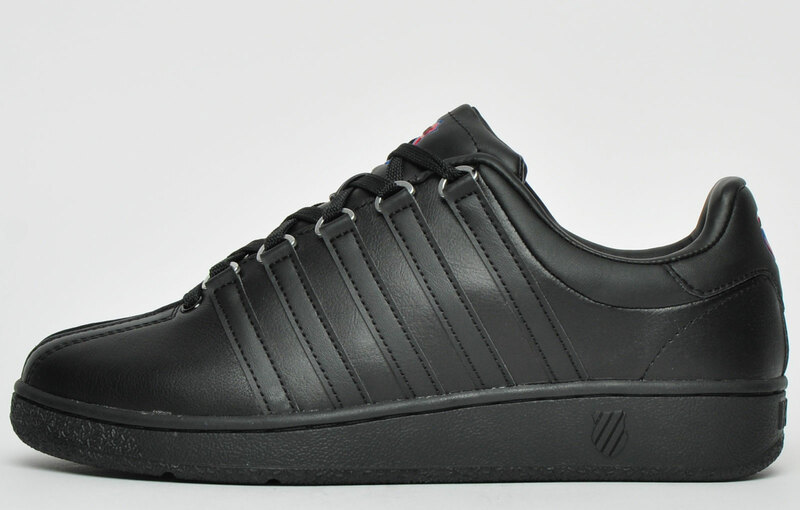 The K Swiss Classic Vintage has light padding and cushioning throughout for supreme comfort and enhanced performance. 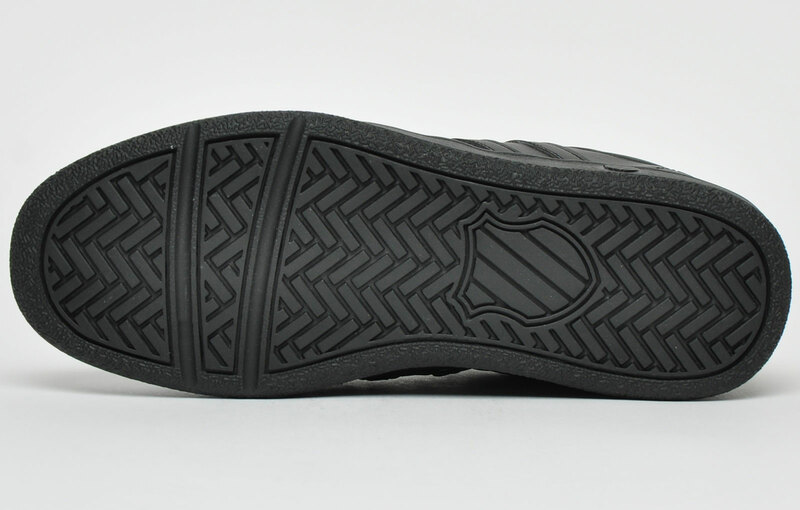 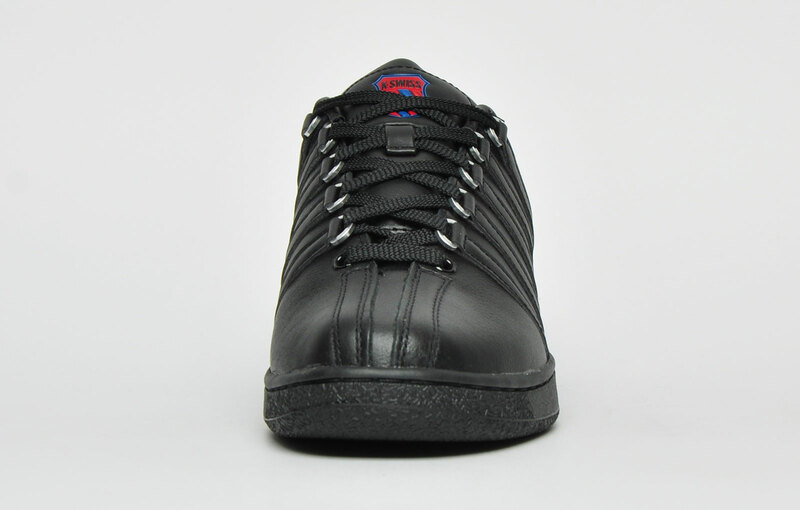 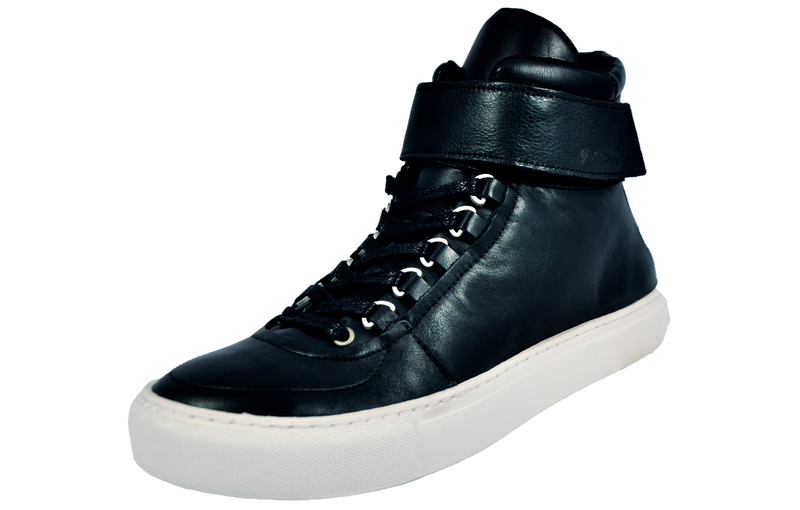 The sturdy vintage styled sole features raised K Swiss branding and provides impressive grip and durability. 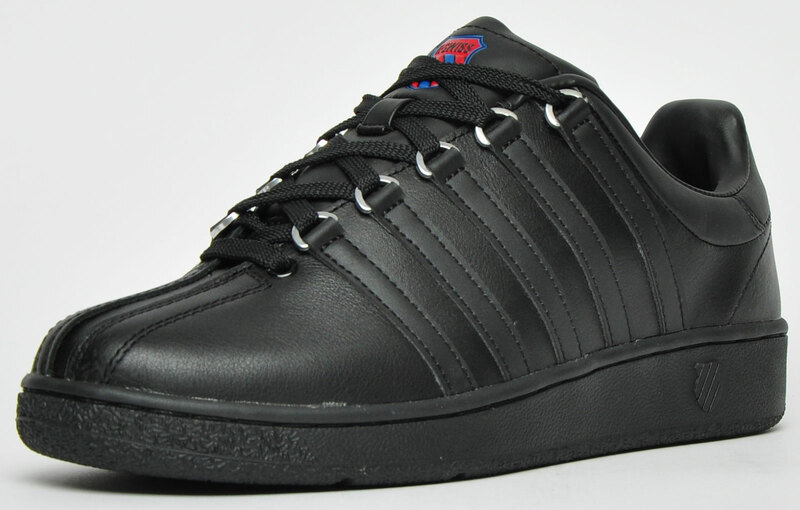 The Classic Vintage is stylishly finished with the iconic K Swiss stripe details to the sides, K Swiss branding to the tongue and a K Swiss shield to the heel piece. 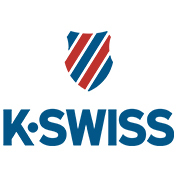 This K Swiss Men’s Classic Vintage is a true winner, perfect for a variety of casual wear occasions as well as providing function and performance. 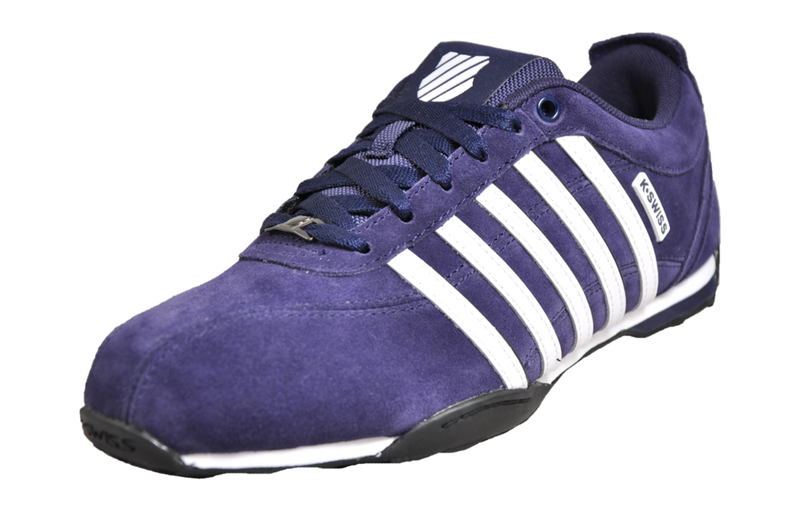 With the heritage of the K Swiss brand, this trainer is a classic for any trainer loving individual.